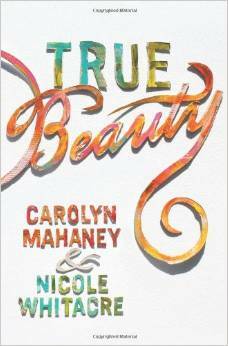 I’m so pleased that Carolyn Mahaney and Nicole Whitacre have tackled the subject of true beauty, a topic we need to think and learn about from a Christian perspective, particularly in our beauty-crazed, beauty-obsessed age. The world is always trying to press women into its mold, particularly on this point, and this book helps us think about beauty in a completely different way. 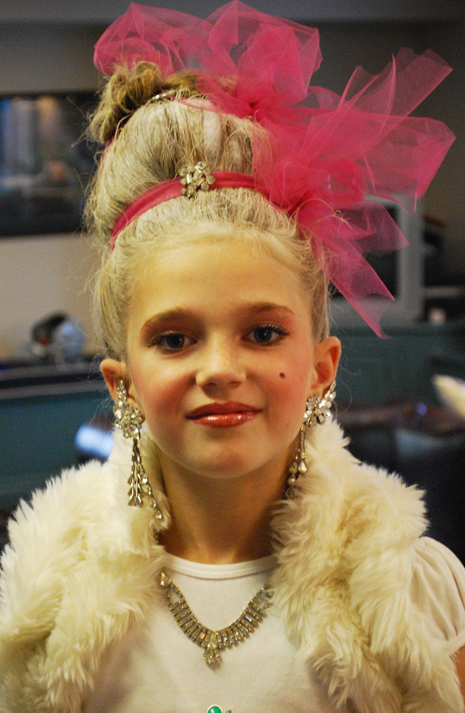 True Beauty is for all women, no matter what your calling or age. You can buy it here. One of the comments on the last post asked me about my favorite Puritan writers, so I have taken a short, very non-intimidating pile off my shelf and stacked them here for you to browse. On the top is my red leather edition of The Loveliness of Christ. I have an older copy that Diane Garaway gave me a few years back, but it sits with some of our other old book treasures on top of the piano. This edition is in my bedside table. Samuel Rutherford was a 17th century Scottish pastor, one of the Westminster divines, who was expelled from his church and forbidden to preach any where in Scotland (which tells you right off that he was a powerful preacher). This little book contains excerpts from his many pastoral letters. Next is The Rare Jewel of Christian Contentment by Jeremiah Burroughs. This is a well worn copy and has seen me through at least four book studies with the women in our church. It is a treasure, full of solid, biblical teaching on attaining contentment. 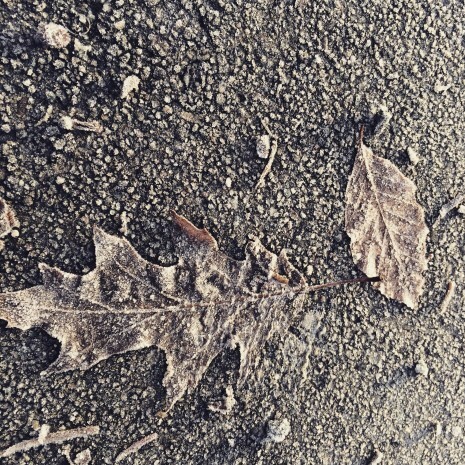 Then you see All Things for Good by Thomas Watson. This book, combined with the book on contentment, has blessed me immeasurably. I truly thank God for these men and their sermons that have been preserved for us. 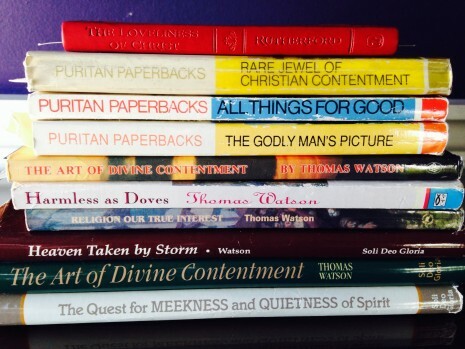 A few other Watson titles that I have used for book studies are in the stack: The Godly Man’s Picture, The Art of Divine Contentment, Harmless as Doves, Religion Our True Interest, and Heaven Taken By Storm. I see now that I got The Art of Divine Contentment in twice, once in paperback and once in hardback. It is that good. Read it twice. It is a toss up which book on contentment I prefer. They are both fantastic. Finally, just so I don’t wear you out, is The Quest for Meekness and Quietness of Spirit, by Matthew Henry. He is a wonderful writer, and I love his commentary on the Bible. Wish I could read the whole thing (it’s large). But this book on a meek spirit is short and excellent. As he says, there is much provocation in this world, so we might just as well learn how to take it without getting our feathers ruffled. Well, he actually says it much better than that.